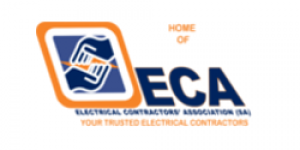 The ECA (SA) is an employers’ organization registered in terms of the Labour Relations Act, and has been representing electrical contractors in South Africa for 60 years. It has in excess of 4000 members who employ between 70% and 80% of the total labour force in the Industry. Approximately 80% of all electrical installations in South Africa are carried out by our members. The Association represents electrical contractors at all levels, and is recognized by the Government, supply authorities, consulting engineers, CSIR, ESKOM and the Association of Municipality Electrical Undertakings as the spokesman for the Industry. The ECA also serves on the SABS Committee responsible for the Code of Practice for the Wiring of Premises.